Just finished today. I will be showing them off at the 2012 IOWA DIY, this Saturday. 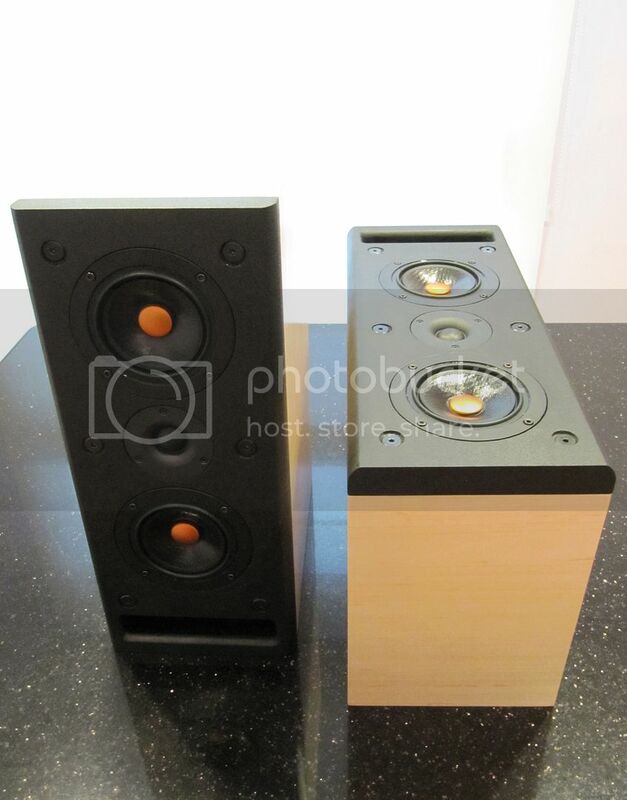 Bookshelf MTMs with CSS VWR126X + LD25X. Designed by Jeff Bagby. I'd say they turned out very well. I like the button-head fasteners. If you can't hide em, they might as well look good! Wow those look great Brian, how do they sound? I'm going to hold back on any detailed listening impressions on this thread until after the Iowa DIY. After only a couple days of listening I CAN say that I'm happy with the way they turned out. Everything seems to be in order and functioning properly (read: no bad drivers, loose panels, etc.). I have been subjecting the Tritons to some low frequency break-in abuse via crappy Dubstep music and even some 20Hz sine waves. I'll be showing these puppies off in Iowa this weekend, where there are many many more finely tuned ears than mine. I'm confident the Tritons will be well received. Last edited by bkeane1259; 10-18-2012, 04:40 PM. I'll be looking forward to hearing those this weekend. Well, the Iowa event really solidified my opinion of the Tritons. 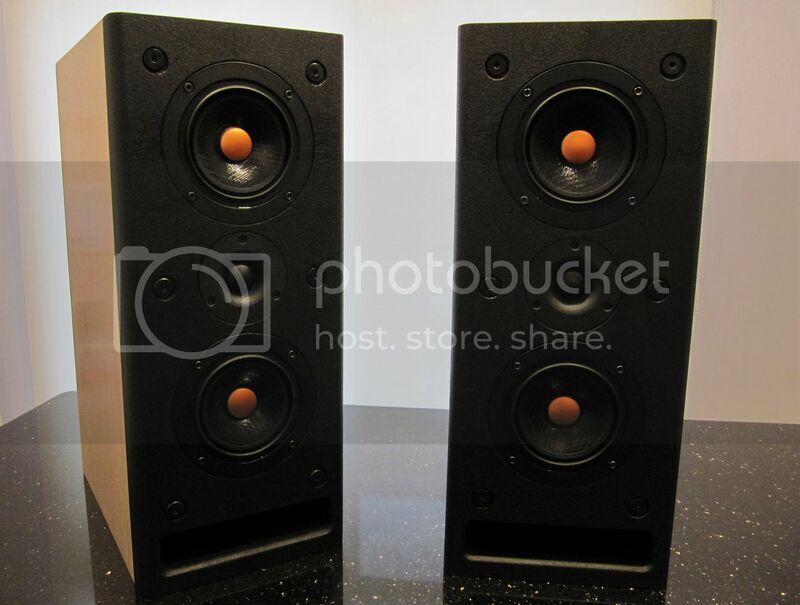 Even as I was breaking them in before the show I knew I was going to have a new reference speaker. 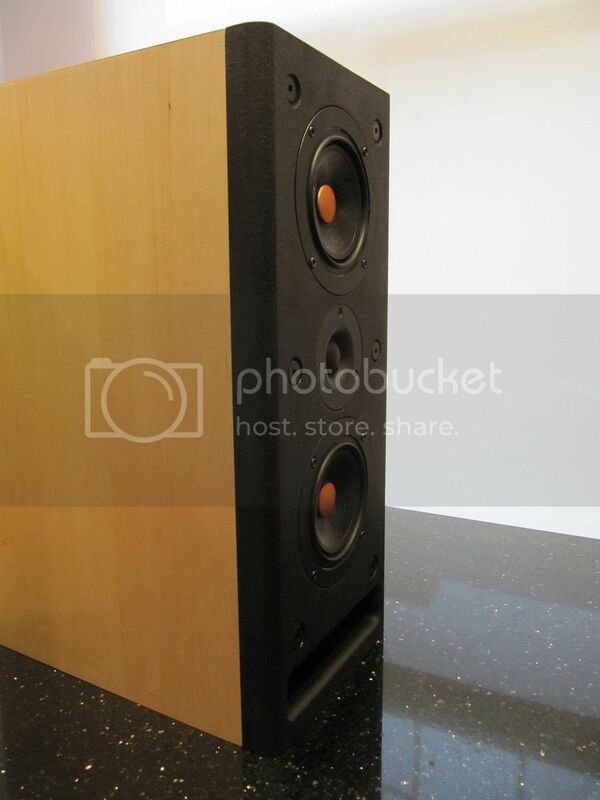 The combination of CSS driver quality and Jeff B's crossover design genius make for one striking speaker system!! 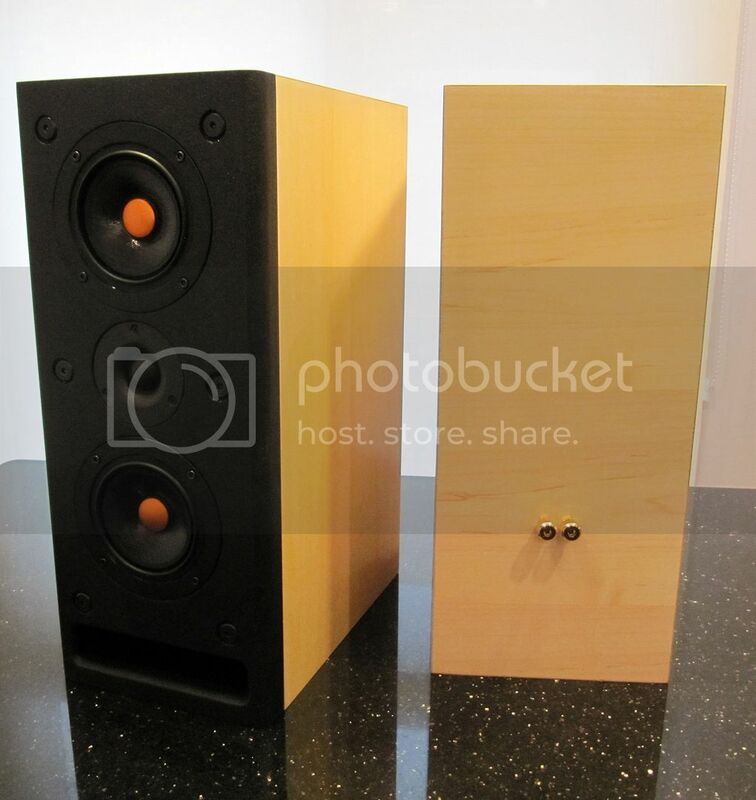 I have ZERO flair when it comes describing speaker sound with catchy buzz phrases, etc. But here's what my 45-yr-old ears think of the Tritons. They have a TREMENDOUS sound stage....just awesome. 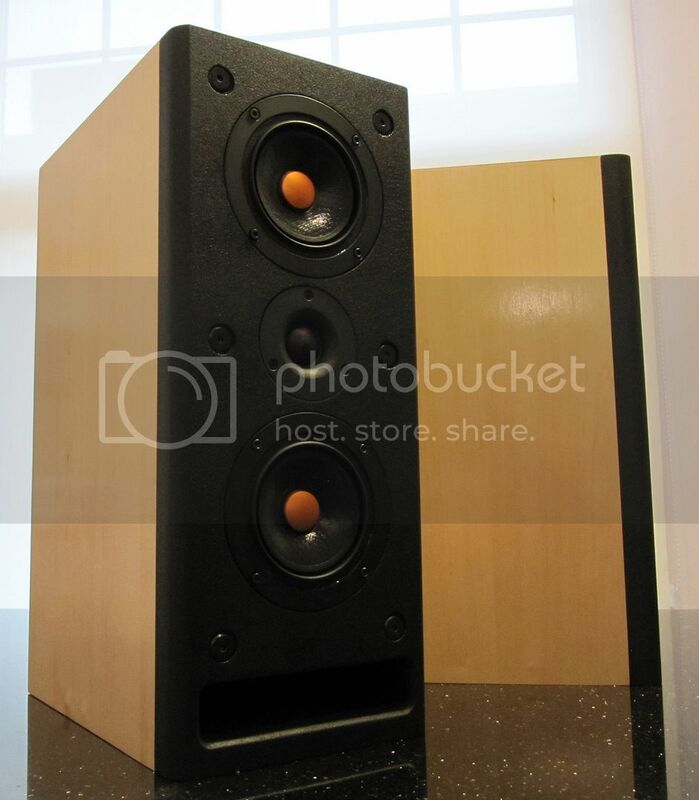 Within that soundstage is the most realistic midrange I have ever heard in a speaker. Period. I find myself closing my eyes a lot and just imagining the vocalist (male or female) in my room. It's scary to be honest. I have modest equipment and even at home in my not-so-great listening space, I'm able to enjoy these characteristics of the Tritons and much more. They are transparent, silky and extremely powerful. When I say powerful, I mean they have the ability to take on a good deal of watts and laugh in your face while returning very taut bass and crystal clear everything else. Like I said, I lack the flowery descriptive words. Doug's Iowa venue is awesome. The Tritons were able to fill the auditorium effortlessly. In this rather large venue I was able to walk around to get a feel for off-axis response. I thought it was extremely good. I had a brutal slap-bass track in my playlist that bottomed out a couple designs earlier in the day so I literally crossed my fingers when that particular track played on the Tritons, knowing that the midbass drivers have an Sd equivalent to 4" drivers...I was a bit nervous. However, I ended up actually cranking the volume on that track to purposely try to push the VWR126Xs to their limits. It was impressive to say the least. The VWR126X driver exhibits tremendous control even under brutal conditions. 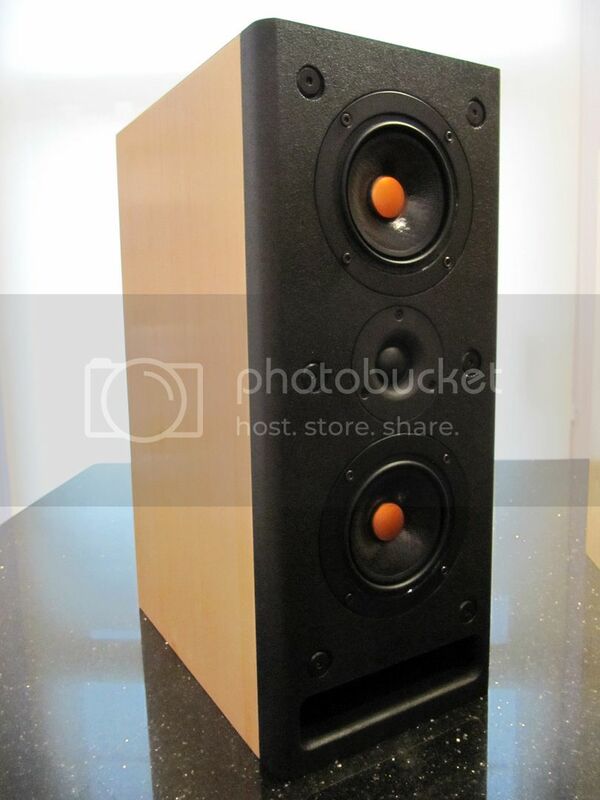 I am loving my new reference speakers. Thanks Jeff and CSS for a great design!! FWIW - here's the mp3 version of the "brutal slap-bass track"
Give it a go on your speakers....but be warned. i got to tell you, they sound grrrrrreat! best imaging of show without a doubt. they did everything right. would bet over a big woofer they would be great for a 3way too. css has added comments and a link to the iowa event. They were my favorite of the show as well.